Marketing 101: You're Not Just a Marketer. You're Also a Storyteller. You're Not Just a Marketer. You're Also a Storyteller. One of the cold, hard truths of the marketing world is the fact that people don't like to be "sold" to. That's unfortunate, considering that selling is probably one of the primary goals you have on a daily basis. Think about this: more and more people are streaming television content on the internet to skip commercials entirely. Even the fabled "digital marketing" landscape isn't faring much better, as hundreds of millions of people now use an ad-blocking software as they browse the Web. At the same time, people ARE still advertising successfully to their audiences, finding new and innovative ways to get the right message in front of the right person at the right time. How they're accomplishing this is beautifully simple: they're not "selling" a product or service to someone at all. Instead, they're telling the story of that product or service in a way that is easy to understand, naturally captivating, and emotionally compelling - all at once. 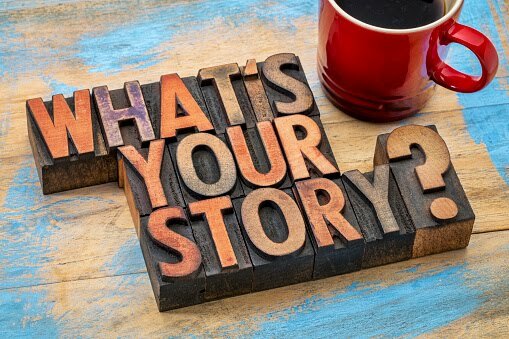 Taking the basic principles of narrative storytelling and applying them to your brand opens up a world of new opportunities regarding your marketing reach. You can make a story out of anything - be it a new product or service you're about to release or the journey that your company took to get to this moment. Take that great new product that you're about to release. The "conflict" can be all of the problems in your life that you were trying to solve while designing it - be they personal or professional. You know that these are the same problems that your customers are experiencing, which immediately gives them something to latch onto. It makes the story immediately relatable because your audience can identify. Then, the resolution becomes the actual product itself. The narrative "spine" of the piece becomes "here is a problem that I had. Here are all the troubles that it caused me. Here is how this product solved it, making my life better in the process." Three acts: setup, escalating conflict, and resolution. Just like your favorite novel or Hollywood film. The more personal your marketing stories become, the more people will feel connected to your brand. They'll want to learn more and share your content with their friends and family members.